Desert Springs Dental Care - World Class Smiles! When you visit Dr. Alan S. Poremba your smile is our top priority. Our entire team is dedicated to providing you with the personalized, quality dental care that you deserve. A beautiful Las Vegas dental office that meets health & safety standards you can feel good about. We accept most Dental Insurance so please visit our Insurance Tab to see if you can utilize your Dental Benefits with us. Our Office hours are Monday-Thursday 8am-5pm and Friday by appointment only. Call (702) 838-6684 or Request An Appointment! 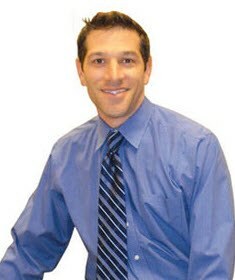 Las Vegas dentist, Dr. Alan Poremba is a dental professional dedicated to general, family, and cosmetic dentistry with services including dental exams, dental makeovers, teeth whitening, veneers, crowns, x-rays, fluoride, cleanings, and more. Please come and visit Desert Springs Dental Care today.